Now that Domino has closed (sob!) I have to settle for looking through back issues for inspiration. 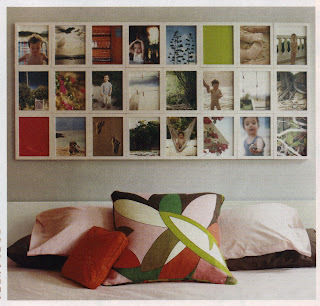 Architect Lisa Mahar made this photo gallery from 24 Pottery Barn frames stuck together with duct tape! Does anyone else remember this book?